Sonnet Technologies gave us a preview of their eGFX Breakaway Box. As with other eGPUs we tested, it is designed to connect to the Thunderbolt 3 port of the 2016 MacBook Pro. However, using Apple's Thunderbolt 3 to Thunderbolt 2 adapter, it also works with Thunderbolt 2 Macs like the 2013 Mac Pro cylinder. The GPU in the Breakaway Box was connected directly via DisplayPort cable to the Dell UP2715K 27" display; In some cases, we also used a Thunderbolt port to connect to the LG UltraFine 5K display; Scaled resolution for both was 2560x1440. Blender - Lets you choose one or more GPUs to render a 3D scene with OpenCL or CUDA. 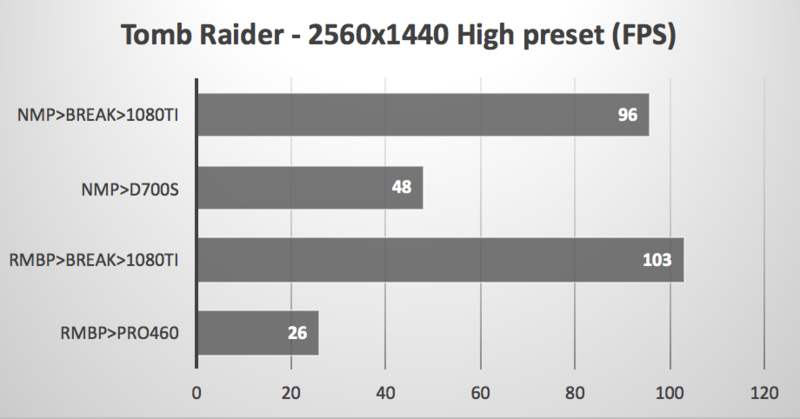 As you can see from the graph, rendering with CUDA using just one high-end NVIDIA was much faster than even three AMD GPUs rendering using OpenCL. This is a "GPU only" standalone renderer that can process scenes created in Maya, ArchiCAD, Cinema 4D, etc. -- and does so in a fraction of the time it takes with a CPU based renderer. However, it only runs only on CUDA capable NVIDIA GPUs. We used a test scene called octane_benchmark.ocs and selected RenderTarget PT (Path Tracing). 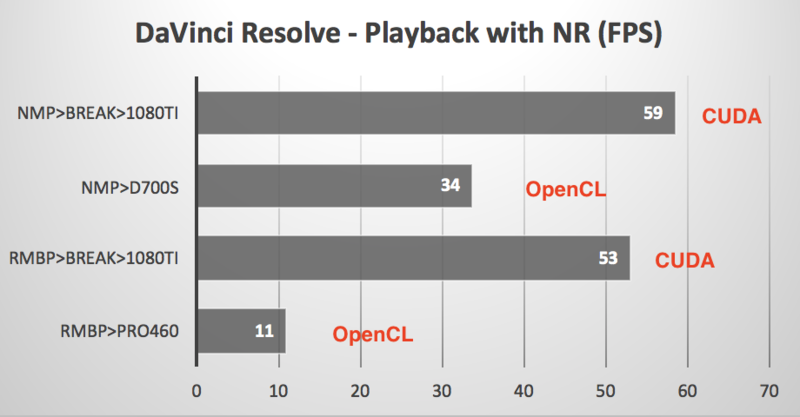 DaVinci Resolve - Candle 1080p project playback renders Noise Reduction Node (1NR) on-the-fly. 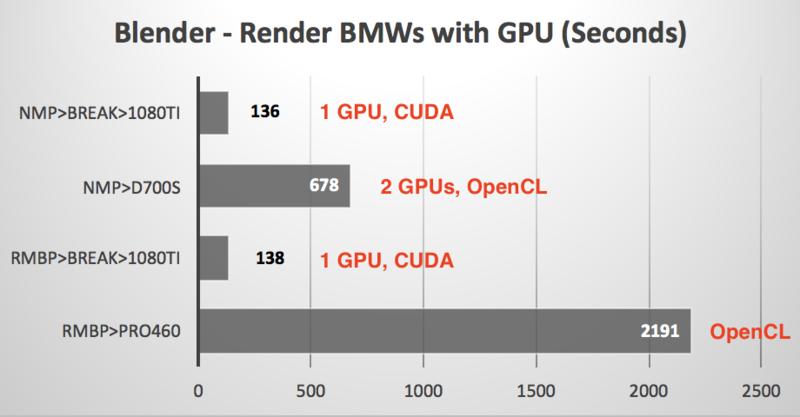 Preferences > Video I/O and GPU > GPU Processing mode set to OpenCL or CUDA. GPU selection mode was set to Manual allowing selection of GPUs to be used including the ones in the eGFX Breakaway Box. 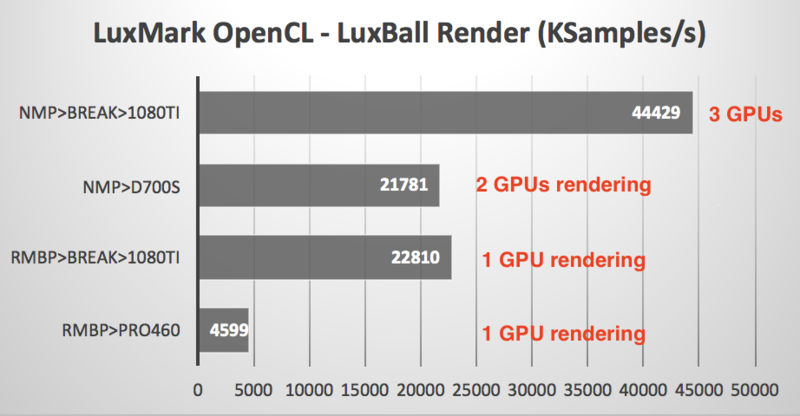 LuxMark 3 OpenCL - This benchmark lets you chose which devices are doing the rendering regardless of what display they are connected to and regardless of whether they are internal or external. Valley OpenGL Benchmark - This animation uses advanced OpenGL extensions as it 'flies' through 18 detailed landscape scenes. Tomb Raider OpenGL game. We ran built-in Benchmark using High preset. ...speed up multi-GPU rendering in apps like Blender and Resolve (Noise Reduction render on the fly during playback). 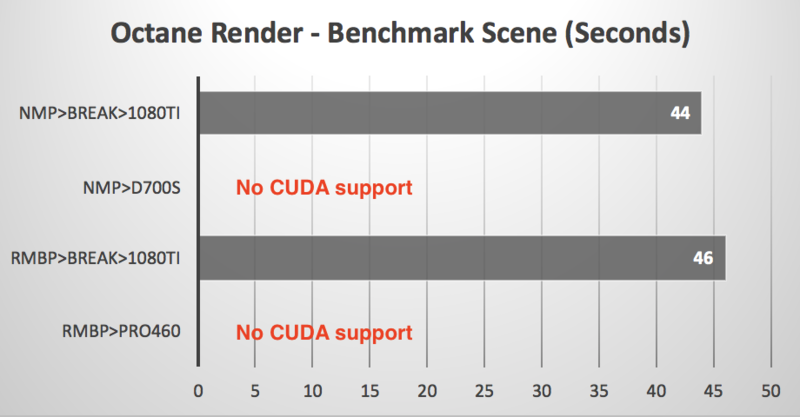 ...add CUDA support to your AMD equipped Macs thereby enabling 'CUDA only' apps like Octane Render to function and 'CUDA capable' apps like Blender to function faster than the "OpenCL only" AMD GPUs provided by Apple. ...provide a surge in the OpenCL render rate as well as combine with factory AMD GPUs to double the render rate. 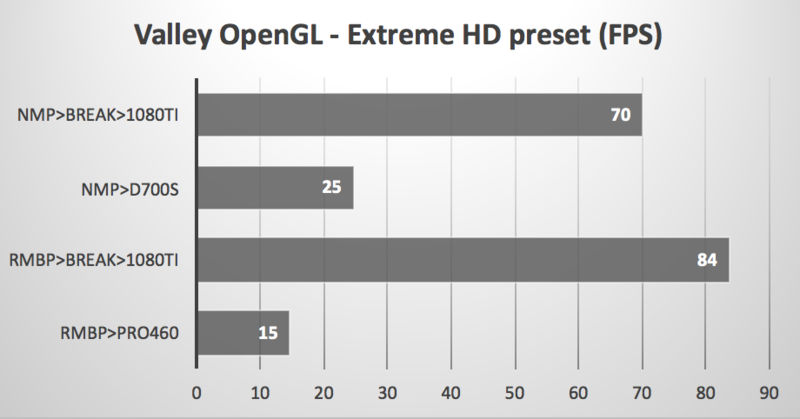 ...triple and quadruple the frame rates of OpenGL apps like Valley and Tomb Raider. "DOES THE eGFX Breakaway Box REQUIRE AN EXTERNAL DISPLAY?" It depends on the apps you run. 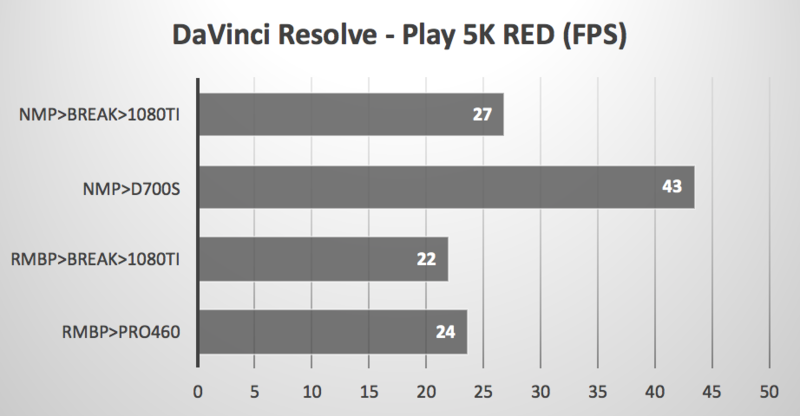 DaVinci Resolve, After Effects, Premiere Pro, Blender, Octane Render, and PhotoZoom all detected and allowed us to choose the Breakaway's GPU without a display connected to it. However, Tomb Raider and Valley only used the GTX 1080 Ti in the Breakaway Box if we connected the Dell 5K directly to it. 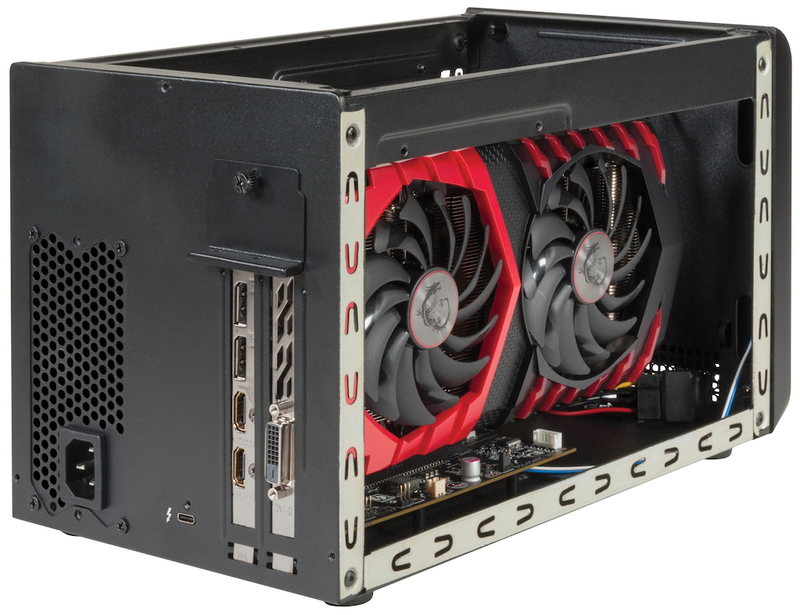 To see other eGPU articles we posted, go to our INDEX page. You will be able to order the eGFX Breakaway Box direct from Sonnet Technologies starting in June of 2017. Pricing starts at $299. The AKiTiO Node eGFX Box can be ordered from B&H Photo Video ($269). Here is a list of other Resellers. Bizon Tech sells the BizonBOX 2S (works with all Thunderbolt 2 Macs). 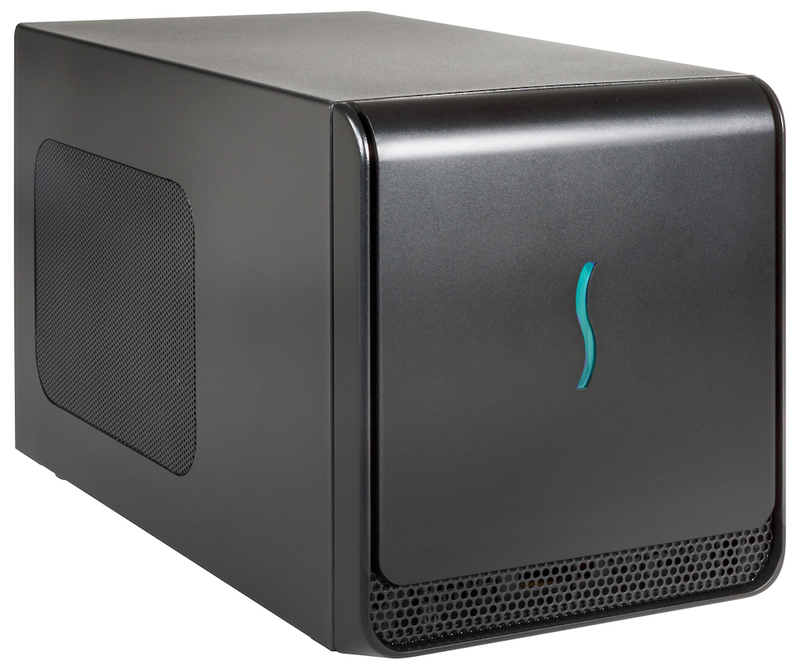 The BizonBOX 3 (designed for Thunderbolt 3 Macs). USA readers can help us earn a commission by using this Apple Store USA link or by clicking on any Apple display ad. PowerMax not only sells new and used Macs, but will give you a generous trade-in offer on your old Mac. Other World Computing has a Used Mac Store. Apple Store USA has refurbished Macs with 12 month warranty.